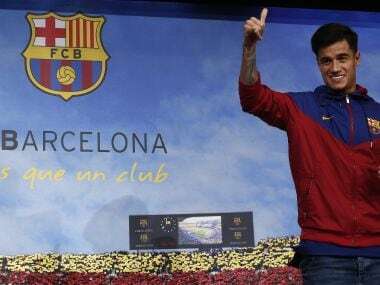 Barcelona: Philippe Coutinho has described his move from Liverpool to Barcelona as "a dream come true" after appearing at the Camp Nou for the first time on Sunday ahead of his official unveiling. "Barca fans, I'm here now. It's a dream come true! I hope to see you tomorrow," said Coutinho, who will be presented to supporters on Monday, in a short video clip released by Barcelona. The 25-year-old posed for photographers at the Camp Nou wearing a tracksuit top in the colours of the club a day after Barcelona confirmed a 160 million-euro ($192 million) deal to buy him. It is the third-biggest transfer in football history and a club record deal for Barcelona. He is due to officially sign his contract at 12:30 local time (1130 GMT), with an appearance on the Camp Nou pitch set and a press conference also set for Monday afternoon. "Now I want to play, win trophies and make the supporters happy. 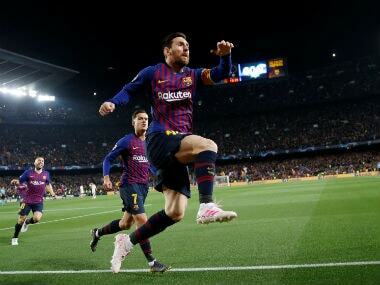 Those are my objectives," Coutinho told Barca TV. The Brazilian has agreed a deal through to 2023 at the Camp Nou and is looking forward to playing alongside Lionel Messi, Luis Suarez and Andres Iniesta, players he described as "idols". Coutinho has already played alongside Suarez for 18 months at Liverpool before the Uruguayan made the same move in 2014. "Everybody knows about his quality. 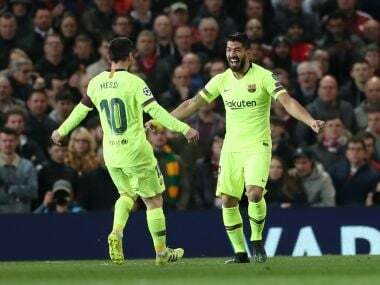 He has been playing at the highest level for years now and that is important," Suarez told Barca TV about the new arrival. Barcelona fans see Coutinho as the long-term successor to Iniesta, and coach Ernesto Valverde is aiming to make the most of the Brazilian's ability to play in a range of positions. "I think he can bring a lot to the team. 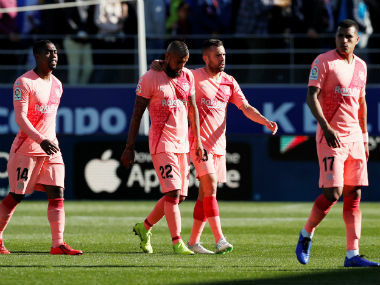 He scores and sets up goals, and going forward he can help us a lot as he can play both inside and out wide," remarked Valverde after Barcelona's comfortable 3-0 La Liga win over Levante on Sunday. "He is versatile and we can take advantage of his versatility." The deal had been in the pipeline for months, but having previously tried to avoid talking about the Brazilian, Valverde can now look forward to welcoming him into his squad for a busy second half of the season. 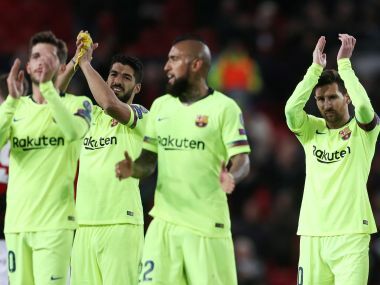 "It is a signing that has been talked about for a long time, although it was not something I was keen to discuss," said Valverde, whose team are still unbeaten in La Liga and sit nine points clear of Atletico Madrid at the top of the table. Capable of playing on the wing and in a more withdrawn midfield role, Coutinho's arrival provides a wealth of new options to Valverde, although he will not be able to play in the Champions League knockout phase having already featured in the competition for Liverpool. "We will wait until I have seen him train for a day at least until we talk about that," added Valverde when pressed on where the ex-Inter Milan man would fit into his team. "It is true that I have seen videos of him playing in different positions, for Liverpool and for his country. But let's wait and see." "I hope he adapts quickly, although good players adapt quickly to any circumstances."